We all know the story of Cinderella. A kind and sweet young woman loses her parents and is stuck with a horrid stepmother and two selfish personified stepsisters. They make her a slave in her own home. The beauty of the fairy tale was that despite her circumstance Cinderella remained her wonderful self and blessed with her dream in the loving arms of the prince. Amidst this story is the magical presence of loveable mice and Cinderella’s fairy godmother. Although I have great respect for Kenneth Branagh as an actor and a director, but this work doesn’t quite cut it. The glimmer of this magical tale is tarnished and dulled to a blah, blah, blah presentation. 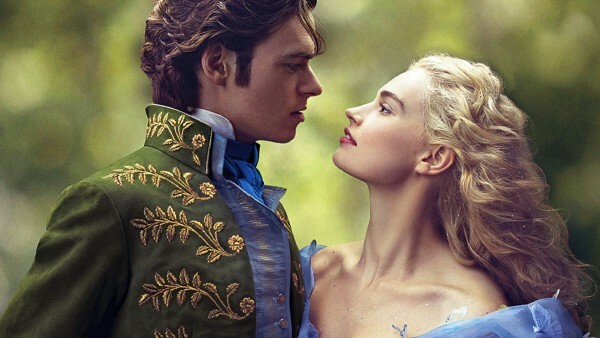 Cinderella (Lily James) was kept so plain even in her butterfly gown and glass slippers. No jewels except for her bedazzled skin and hair. Every time James moved, I looked for strings as though she was a marionette posed and pulled across the screen. I loved Richard Madden in Game of Thrones. As Rob Stark, though young, he was a man’s man such a contrast to the Prince. In Cinderella, Madden, the Prince, (affectionately nicknamed Kit) is not the suave and debonair prince every little girl swoons over. Reality sets in and he is a bumbling child frozen in awe of Cinderella even though she really isn’t all that. Needless to say, he didn’t sweep me off my feet. He only had a few cute moments. Most of my good times while watching Cinderella were when the mice were on-screen. Jacque became Jacqueline and instead of best friends is married to Gus Gus. They even have a family. It was so adorable to see them (real mice, CGI, or animatronics) pushing spindles or sliding up and down the glass slipper. Helena Bonham Carter brought her own little flavor to the Fairy Godmother. At times, I saw Bellatrix Lestrange (Harry Potter series) flick her wrist or her mischievous quirkiness appear. A moment that especially sticks out was when she transformed the pumpkin INSIDE the greenhouse. 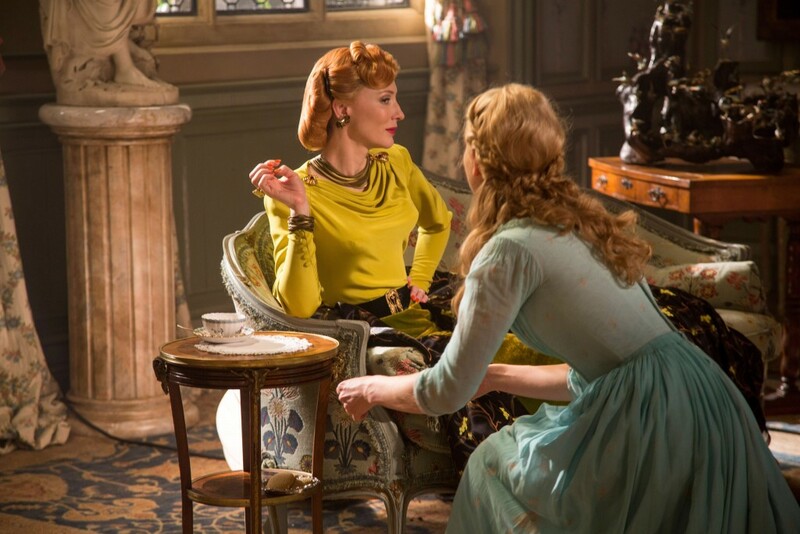 Cate Blanchett’s evil stepmother (aka Lady Tremaine) was good sometimes and awkward at other times, but was fiercely dressed all the time, kudos to the costume designer. I also enjoyed how the clothing mocked the inwardly hideous not so ugly stepsisters. A nice surprise was to see Stellan Skarsgård as the Grand Duke. The Grand Duke was the nervous people pleaser either. As would be expected when utilizing the skills of Skarsgård, the Grand Duke is a devious little capitalist, a nice little twist on the role. Overall, I was disappointed in Cinderella. I know it will make money, but it is not a good representation of such a timeless classic. Cinderella is a story near and exceptionally dear to my heart. I have watched its many versions over the years the Disney animated, Ever After, even some less than savory versions that shall remain nameless. Yet, I’ve never been more uninspired and cheesed out of my mind until I watched Disney’s live action version of Cinderella, which releases Friday. I wanted to love it as I have the other versions. My mind constantly asked questions like, “Are their teeth capped? Was that supposed to be so cheesy?” and “Hello, makeup person, dye the brow to match the hair, am I back in the 80s?” One more thing, it was a bad move to save the re-recordings of “A Dream Is a Wish Your Heart Makes” and “Bibbidi-Bobbidi-Boo” for the ending credits. I wish they were placed within the film as they were in the animated version. They are as much part of the magic as the characters are. I left the theater with no pep in my step or joy in my eyes. This may sound odd, but this Cinderella was simply a fake. When kids are silent or crying in a theater during a fairy tale, something has gone really wrong. This entry was posted on Friday, March 13th, 2015 at 10:29 am	and is filed under Film, News. You can follow any responses to this entry through the RSS 2.0 feed. You can skip to the end and leave a response. Pinging is currently not allowed. « Film Review: ‘Run All Night’! [addressing the nation] If you feel compelled to leave these cities, please do so, in an orderly fashion.